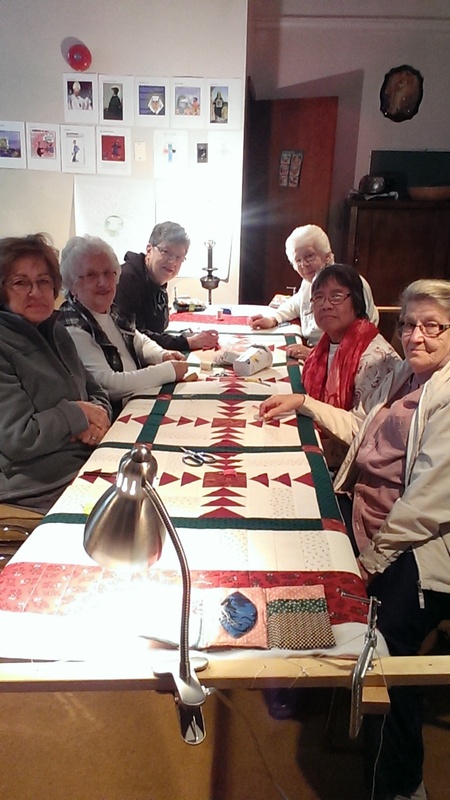 I was visiting with the St. Anthony's quilters earlier this week. They are almost done the Christmas Goose Quilt. I love that they have a full complement of quilters around the frame. They will put on the Bluebell quilt that I showed you last week. Remember, I couldn't remember the name... Well, it was Bluebell. They knew what it was right away. I guess it was only me that couldn't remember. haha.. So, this is Doris, Alice, Paulette, Dolly, Josey and Alice. Over the winter, they will pass Wednesday afternoons quilting.